The cutie from the previous scan...Man i love it...Great Scan! Looks more like its off Ragnarok Online, looking at the Wings on the girls head, and the outfit resembles a hunter. But its a beautiful scan anyhow! 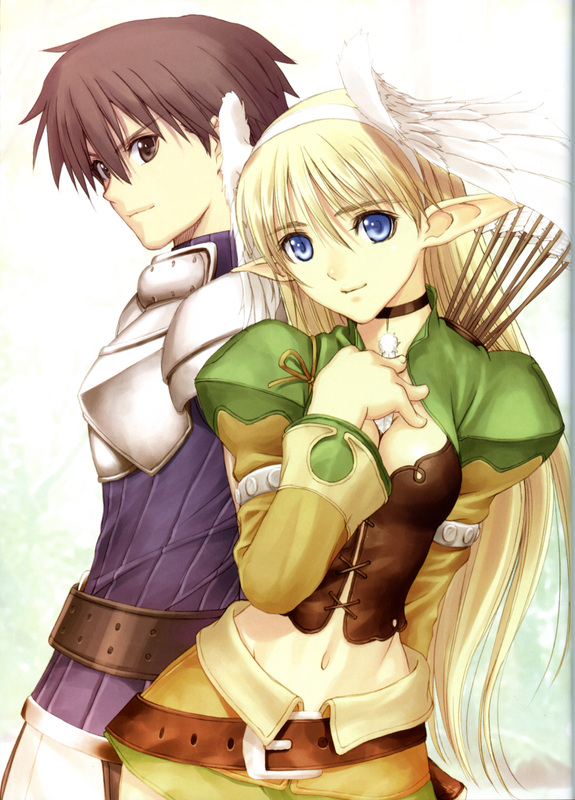 Just for your information, this is an illustration for Sega's PS2 game Shining Tears. End of comment and thanks much for the scan. Great job! and a beautiful scan... I like. When I first saw this picture, it was like Elwing asking, "Am I cute?" And I was answering "HELL YEAH! YER CUTE!" I bound for respect to this great MASTER! thank you for sharing!